Oprah Gail Winfrey was born January 29, 1954. Before she became a media juggernaut, the name Oprah didn’t mean much in Baltimore. In fact, an advertising campaign asking, “What is an Oprah?” ran following up to her first broadcast. It was at the age of 22, she took to the city in an effort to make a name for herself. When she arrived, she found people weren’t very receptive of her. Co-workers taunted her, criticized her and sexually harassed her behind the scenes. There were days that she wanted to just quit. In fact, her ill-fated first gig was a very powerful one that earned her some early hype. She was the co-anchor of television station WJZ’s PM news on week nights sitting next to Jerry Turner. Here, she struggled to be accepted by her peers, was ridiculed and would ultimately be publicaly fired after just seven and a half months. To this day, Oprah cites this as the biggest failure of her career. Instead of allowing this to be the end of her career, Oprah brushed herself off and decided it was time to continue purchasing forward. During this time, she met close friend Gayle King who would become a lifetime friend, Richard Sher would also share the camera with her and give her a chance to shine. Unlike Turner who kept shooting down Oprah, Richard encouraged her to shine on camera and to do what she could. Oprah knew that she belonged in front of the camera. When the opportunity came up for a daytime talk show with Richard Sher came available, she went for it. The show, “People Are Talking” paired the duo discussing a number of different topics and was a hit with viewers. The connection between Sher and Oprah helped to create a receptive audience. The pair would continue to host this popular until Oprah moved to Chicago in 1984. The opportunity to host her own morning show called, AM Chicago wasn’t one Oprah agreed to right away. Things were going well for her in Baltimore, but she took a risk on herself and spent a year doing the show. Before long, a dedicated fan base was tuning in to her show daily and there was buzz generated for Oprah. In fact, her popularity was reaching a point that within a year, the network chose to change the name of the show to, The Oprah Winfrey Show. It is this time where she struggled in her early years in Baltimore and reflects back on her time in Chicago that Oprah often uses a popular quote of hers. “Failure is the stepping stone to greatness.” With all the experiences and failures that she had along the way helped to mold her into the media mogul who would continue to expand her brand name. In 1986 she decided to take a risk and asked to have her show nationally syndicated. The production company at the time agreed and she was placed on 120 channels. Over the next two years, Oprah would deal with harsh critics and markets that didn’t warmly embrace having her on their television screen. Instead of focusing on the negativity, she chose to move forward and to continue to prove she had what it took to be successful. In 1988 she opened her own production company, Harpo Productions. With Harpo Productions running, The Oprah Winfrey Show, she decided to move beyond fluff and tried to make a difference. By 1994 she had worked with President Clinton to create a nationwide database that listed child abusers. The Oprah Bill was her way of doing something to stand up against the abuse she herself experienced as a child. It was in the late 1990s that Oprah had become an Emmy winning Talk Show Host and was looking at new ways to expand her empire. This new media company was designed to produce programming that would target the interests of women. 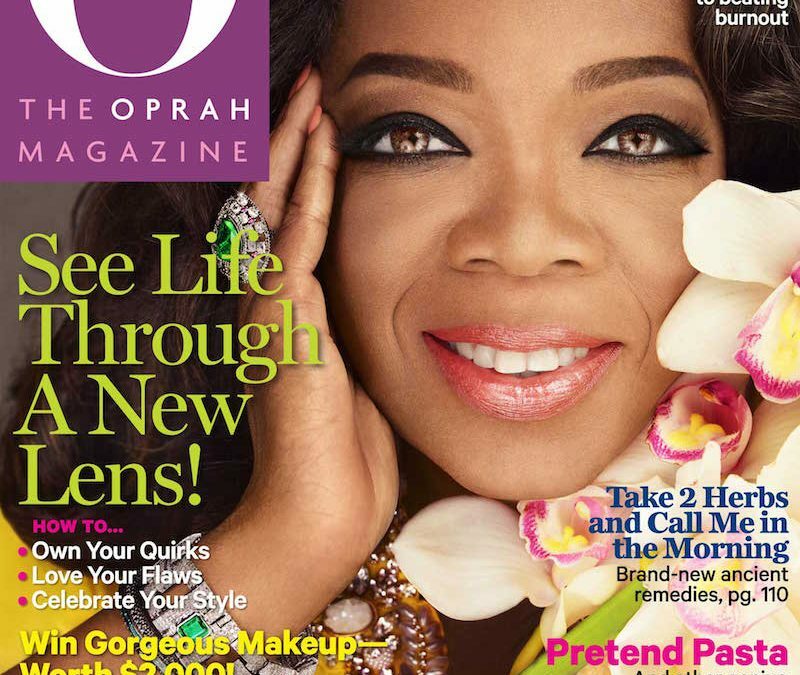 In 2000, Oprah would then continue to dominate media and launched her own magazine called, “O”. This would become the most popular magazine to be launched in more than a decade. From here, Oprah would continue to expand the markets that she was in and would continue to help use her companies to promote awareness and appeal to her devoted fans. By 2010, Oprah was in the market to make some changes. In a move that stunned a number of people, she chose to shut down production of The Oprah Winfrey Show and the 25th season was the last nationally syndicated show. Considering she was a woman who came from a failed start and picked up the pieces to go on and become a popular talk show host and media mogul, it is safe to say that you can achieve great things. All you need to do is believe in yourself and use the failures in your career as stepping stones.